"No thoughs, no prayers can bring back what's no longer there"
In direct response to the mass shooting in Los Angeles last Wednesday which left 12 people dead, political artist grandson has posted a live version of his emotive single 'Thoughts & Prayers'. 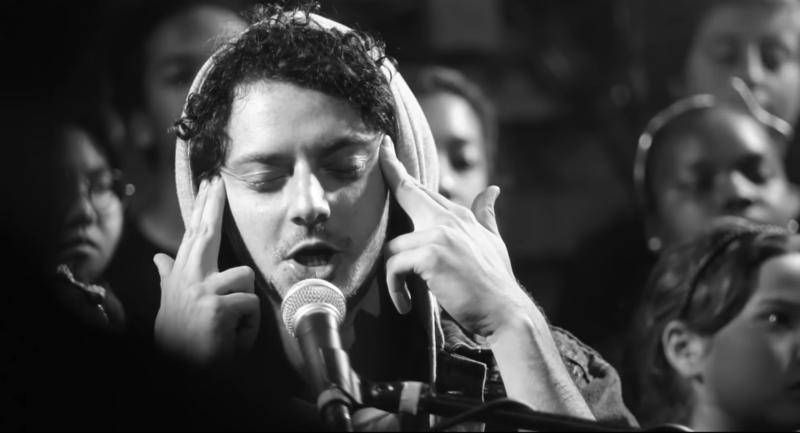 The chilling performance by grandson is backed by a youth choir, and was filmed at Winston House for the event Spark The March in support of March For Our Lives. Sharing the performance on twitter, grandson posted "Take the millions in lobbying money away from our politicians. if we change nothing then nothing will change. If we continue to invest so little in mental health, do so little to help our sick Americans, we send a message to the world that we condone this senseless violence. " grandson gained global attention earlier this year when he first released 'Thoughts & Prayers', written about the political inaction around mass shootings in America.